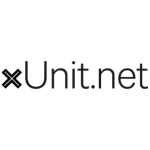 Unit testing tool for the .NET Framework. xUnit.net is a free, open source, community-focused unit testing tool for the .NET Framework. Written by the original inventor of NUnit v2, xUnit.net is the latest technology for unit testing C#, F#, VB.NET and other .NET languages. xUnit.net works with ReSharper, CodeRush, TestDriven.NET and Xamarin. It is part of the ASP.NET Open Source Gallery under the Outercurve Foundation, licensed under Apache 2 (an OSI approved license). xUnit.net is a developer testing framework. Support Test Driven Development, with a design goal of extreme simplicity and alignment with framework features. Offers several runners: console, GUI, MSBuild, and Visual Studio integration via TestDriven.net, CodeRush Test Runner and Resharper. It also offers test project integration for ASP.NET MVC. Single Object Instance per Test Method. New instance per test. No [ExpectedException].- Rather that decorating a method with an attribute, we have returned to the old JUnit style of Assert.Throws for expected exceptions. Aspect-Like Functionality - End users extended NUnit and MbUnit with cross-cutting concerns that could be attached to test methods (an example is automatically rolling back changes made to a database during the test). Use of Generics. The addition to generics to .NET 2.0 allowed much more concise assertions, allowing us to add type-specific comparison support for the more common asserts (like Equal and NotEqual). Anonymous Delegates. Support for anonymous delegates in .NET 2.0 made the syntax for Assert.Throws much more compact and readable. Assert extensibility. Through the use of custom comparers (that implement IComparer), you can extend the concepts of Equal, NotEqual, Contains, DoesNotContain, InRange, and NotInRange for your tests. Test method extensibility. The definition of how to run a test method can be extended. There are two example of this: the first, in xunitext.dll, is the [Theory] attribute which allows data-driven tests; the second, in the samples, is the [RepeatTest] attribute which runs a test method multiple times in a row. NUnit 2.xMbUnit 2.4MSTestxUnit.netComments[Test][Test][TestMethod][Fact]Marks a test method. [TestFixture][TestFixture][TestClass]n/axUnit.net does not require an attribute for a test class; it looks for all test methods in all public (exported) classes in the assembly. [ExpectedException][ExpectedException][ExpectedException]Assert.Throws or Record.ExceptionxUnit.net has done away with the ExpectedException attribute in favor of Assert.Throws. [SetUp][SetUp][TestInitialize]ConstructorWe believe that use of [SetUp] is generally bad. However, you can implement a parameterless constructor as a direct replacement. [TearDown][TearDown][TestCleanup]IDisposable.DisposeWe believe that use of [TearDown] is generally bad. However, you can implement IDisposable.Dispose as a direct replacement. [TestFixtureSetUp][TestFixtureSetUp][ClassInitialize]IUseFixtureTo get per-fixture setup, implement IUseFixtureon your test class. [TestFixtureTearDown][TestFixtureTearDown][ClassCleanup]IUseFixtureTo get per-fixture teardown, implement IUseFixtureon your test class. [Ignore][Ignore][Ignore][Fact(Skip="reason")]Set the Skip parameter on the [Fact] attribute to temporarily skip a test.n/a[Timeout][Timeout][Fact(Timeout=n)]Set the Timeout parameter on the [Fact] attribute to cause a test to fail if it takes too long to run. Note that the timeout value for xUnit.net is in milliseconds. [Property]n/a[TestProperty][Trait]Set arbitrary metadata on a testn/a[Row], [RowTest][DataSource][Theory], [XxxData] Theory (data-driven test).